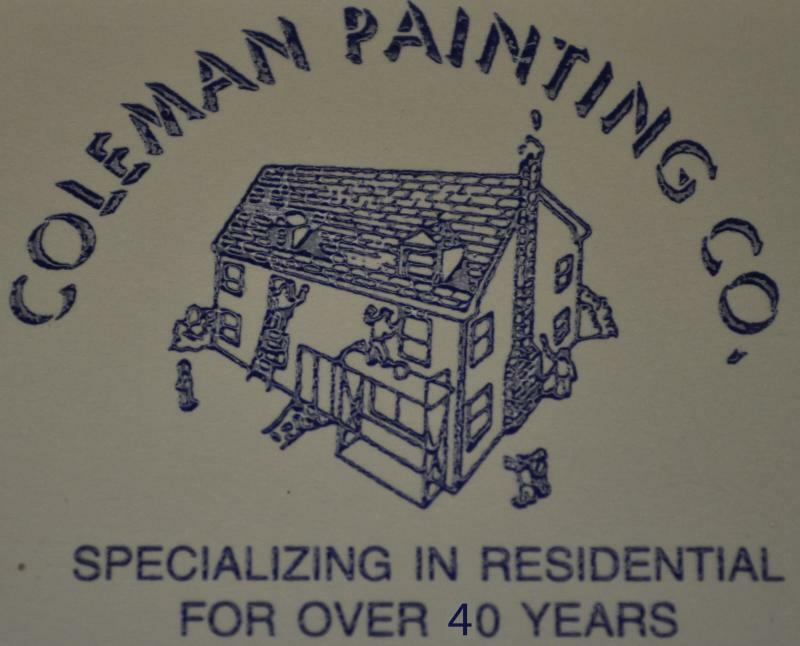 COLEMAN PAINTING is a family-owned business that has been servicing Metuchen,Edison, and surrounding areas in New Jersey for 40 years.We specialize in residential interior and exterior painting. We also do sheetrock repairs,plaster repairs,water damage repairs,wallpaper removal and installation,along with staining and hand textured or popcorn ceilings. We powerwash all kinds of surfaces, sidings, walkways, decks, and roofs if requested. Our company is an EPA certified firm. We are also accredited by the Better Business Bureau (BBB). Click the BBB logo below to see our reviews. Copyright 2012 Don Coleman Painting Company. All rights reserved.